Meat or Seafood? Pasta or Risotto? 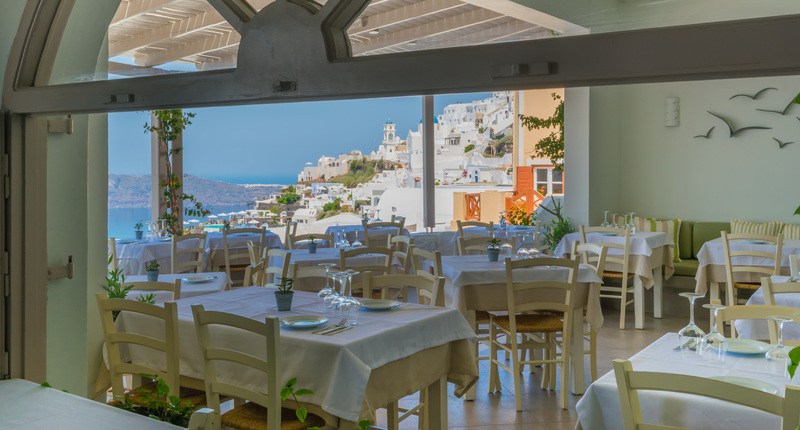 In the heart of Santorini, set at the magnificent Imerovigli, near the castle of Skaros, the eternal guardian of the region, a rustic gem awaits to be discovered. 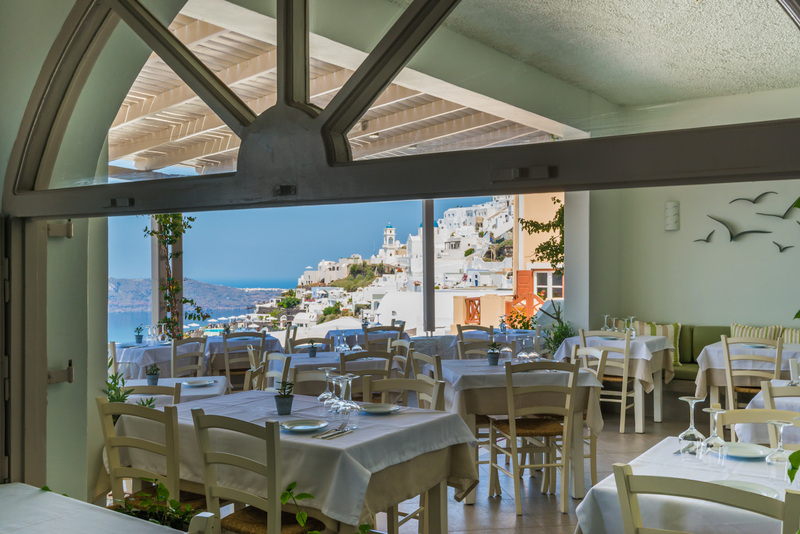 The restaurant “Aegean” lies a few meters from the main square, on one of the most privileged spots of the island in the arms of the caldera. 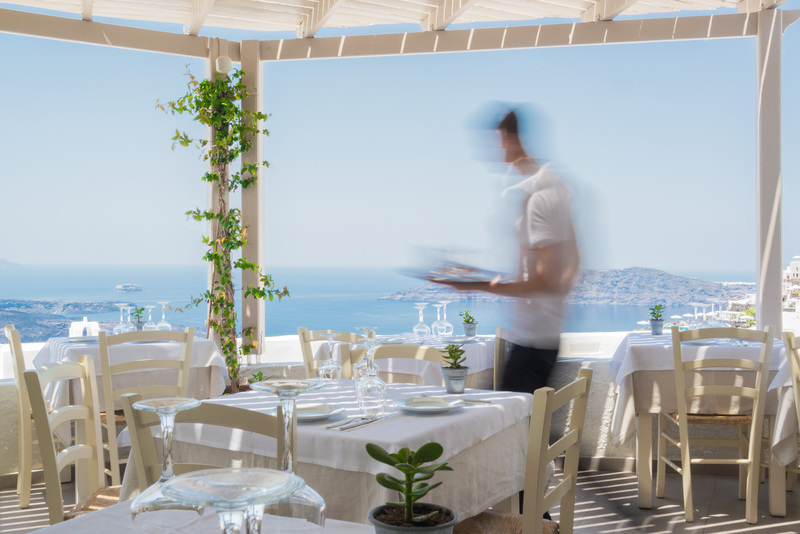 There, the charm of simplicity with strong traditional elements travels you in a feast of Mediterranean flavors. 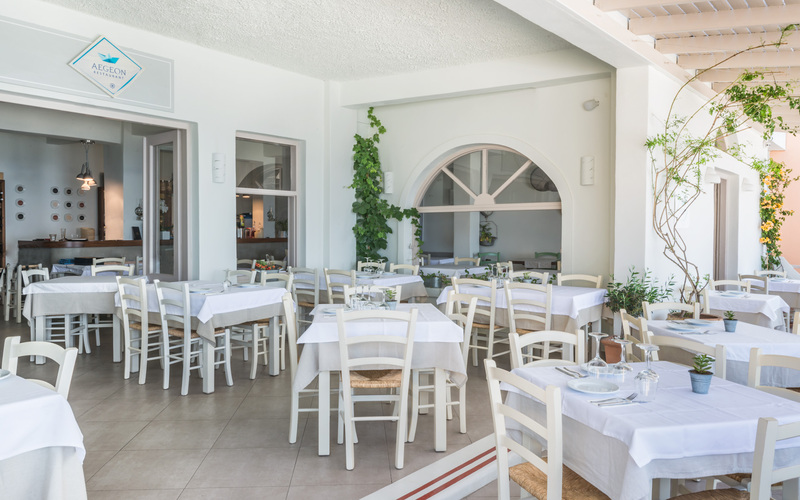 Within easy access even when there are physical disabilities, its hospitable courtyard offers you the perfect environment where you can enjoy delicious dishes of the Greek cuisine, prepared with care and local, pure ingredients and fresh fish or original salads that meet the requirements of the modern healthy diet. 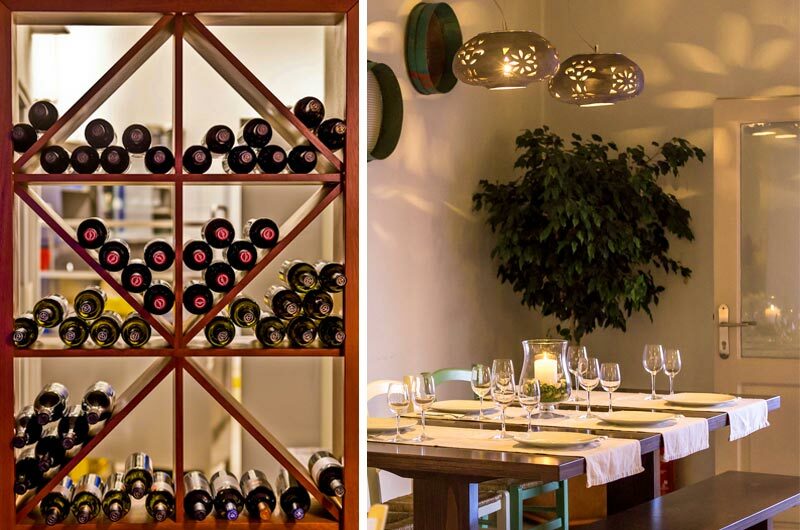 Our up-to-date cellar allows you to choose from a long list of local labels, but also from the rest of Greece. 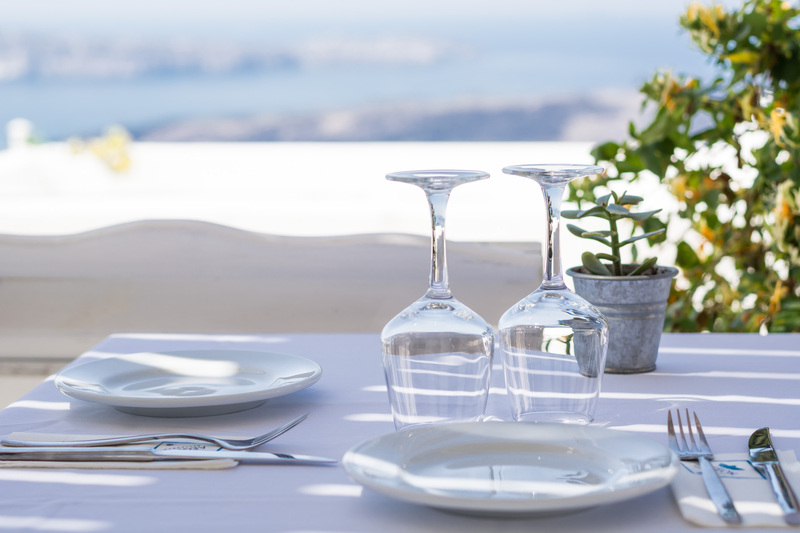 Get ready for the ultimate experience of flavors and sensations, as you relax with a chilled glass of wine admiring the sunset that paints with the most vivid colors on the canvas of the caldera, highlighting the wild beauty of the volcano. One of the traditional homemade desserts such as the “baklava” completes your meal in the most ideal way. 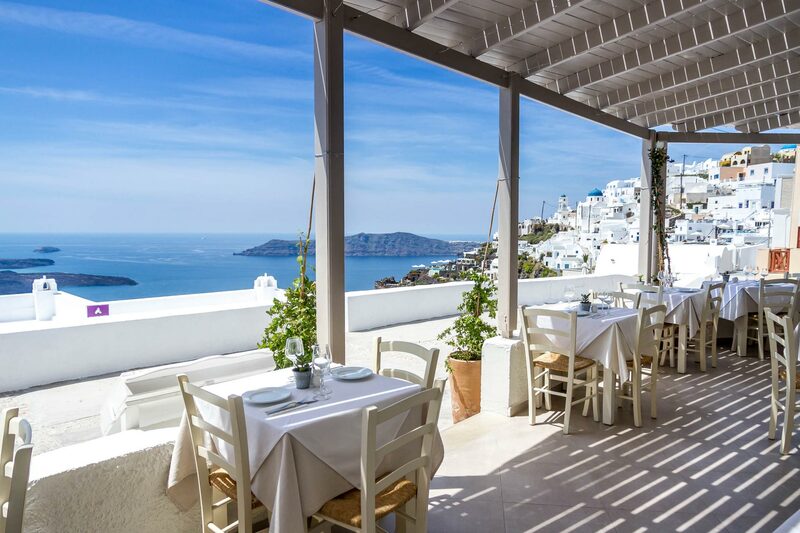 If you are looking for a taste of tradition with a twist, delicious homemade delights and fine wines at very affordable prices, the restaurant "Aegean" on the balcony of the caldera will surely meet your expectations. 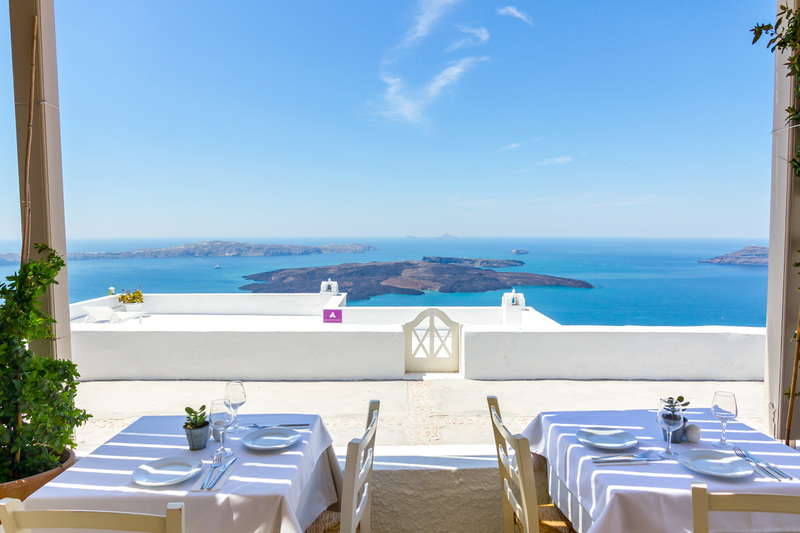 Relax overlooking the famous Santorini Volcano. The colours of Imerovigli are very interesting at lunch time. 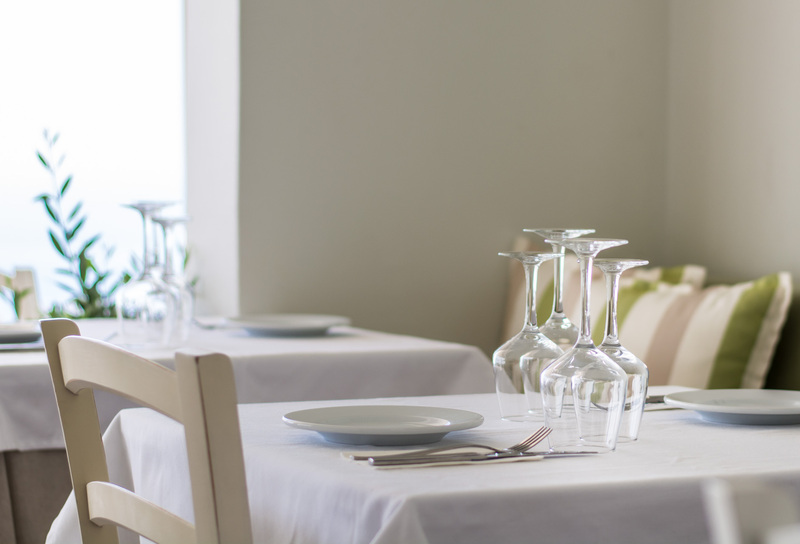 If you intend to enjoy your dinner in our "balcony" call now to book your table. 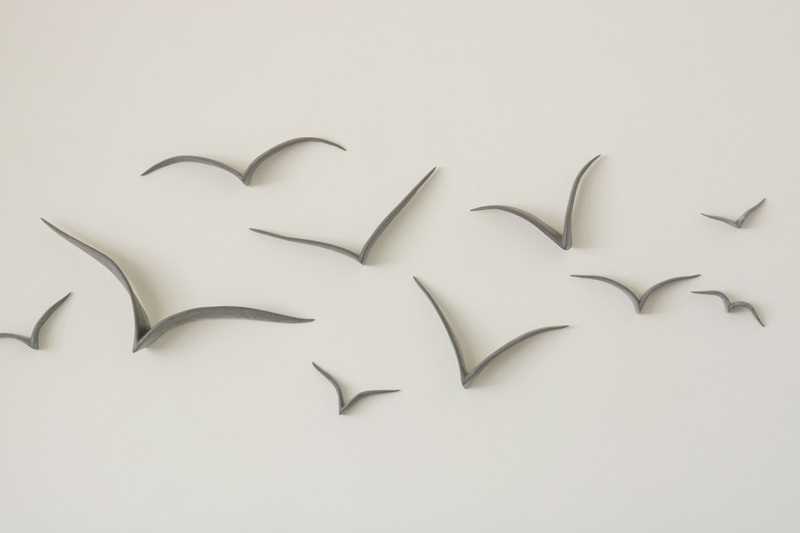 Please fill free to ask anything you may need and we will be more than happy to assist you. 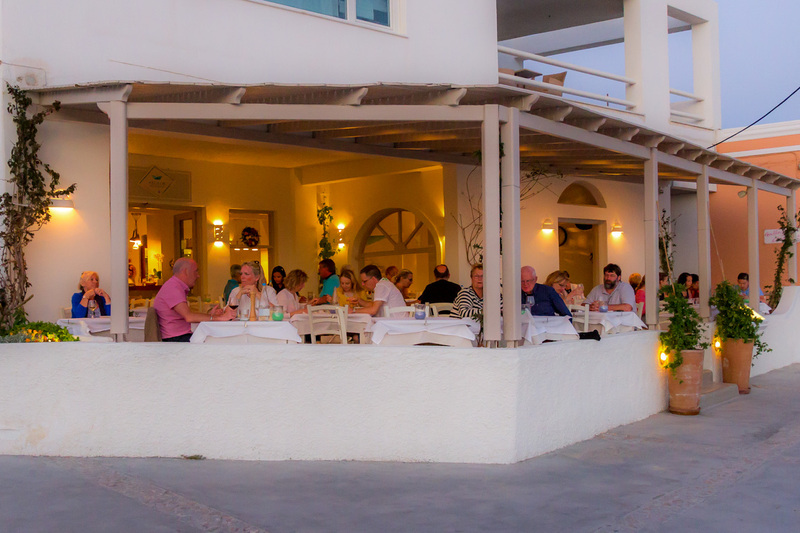 Our restaurant is located in Imerovigli at square "Galis"